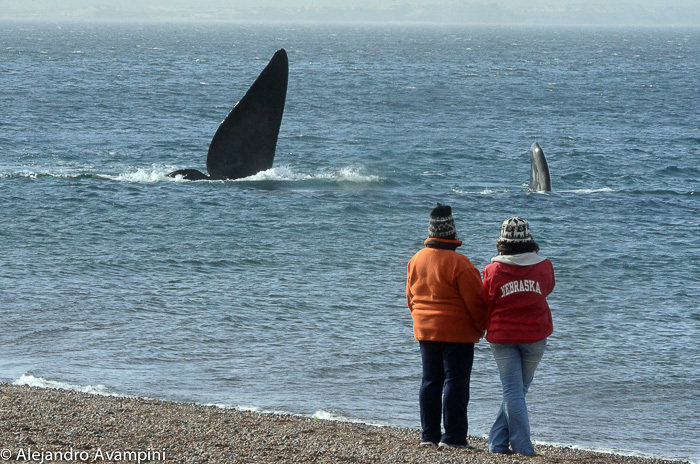 The weeks before the beginning of the whale watching Season at Valdes Peninsula, the two gulfs that shape the peninsula become more populous with right whales. 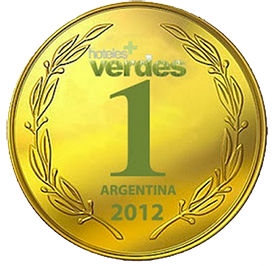 Each day, all along the shore from Puerto Madryn to Puerto Piramides, those species individuals grow in number. Fall roots itself more deeply, and whales comfortably find peace in this heavenly place on earth. While concentration of animals is overall intense, the highest density of whales per km2 is observed, no chance of doubt, at Protected Natural Area El Doradillo, which takes the major award worldwide in whale population between May and July. 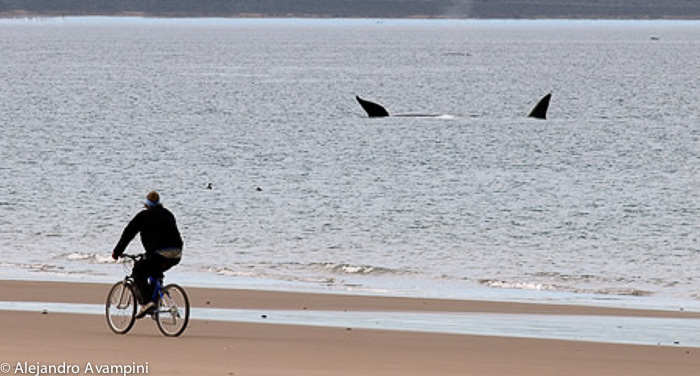 This place, this time of year, a few meters from where the sea washes the sand, a unique concentration of right whales can be appreciated – all of them mothers with their calves. To the human eye experiencing such sight, either for the first or for the millionth time, it is a magnificent show hard to compare, captivating the most sensitive observer and leaving them at a loss for words. During one of the most significant and magical cycles of their existence, these marine giants approach solid ground. Accessible to those who come to El Doradillo and witness the moment, a flask, a mate, and rolls in hand, sitting on the beach, every day, these are masterly classes of living in harmony. Daily lessons on bringing up their calves with motherly love and infinite patience, nursing them and helping them perfect their air-breathing maneuver, among other basic survival skills, are deeply touching. 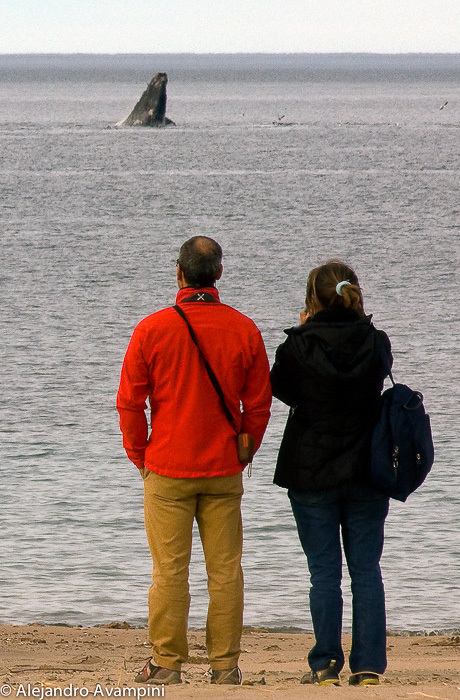 These are customs and practices right whales pass on from generation to generation, from The Beginning of Times. 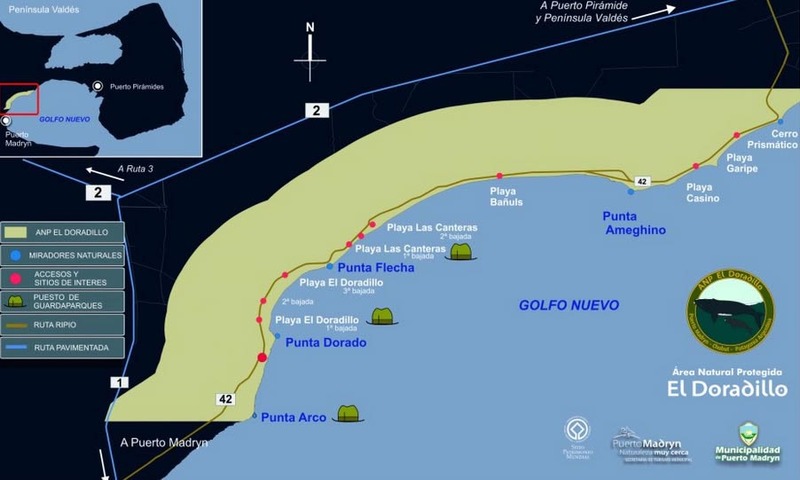 The protected area finds its starting point at the coastal geographic feature known as Punta Arco, located about 20 km from Puerto Madryn. 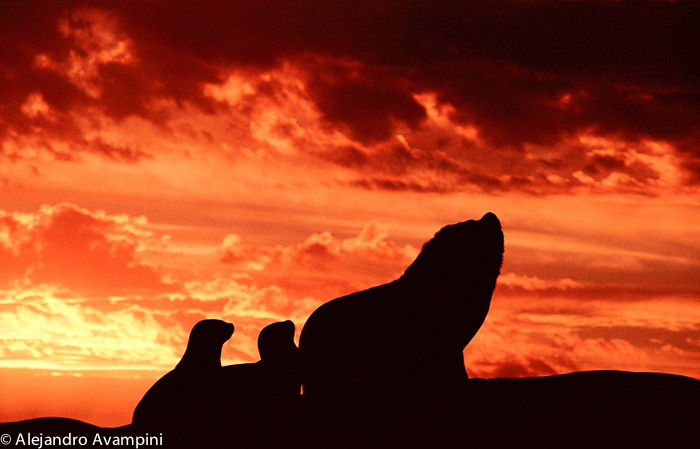 It spreads through an area parallel to the coast covering 3 km wide and about 25 km long, including Punta Ameghino, the popular dwelling place for the southern sea lion, to Punta Prismático, where the coastal circuit of the Provincial Route 42 ends, reaching a total area of 7500 hectares. Access should be made by car, taxi, and organized tours – the adventure lovers in good fitness might also bicycle to get there. There is no bus service to reach those shores. Some adventure privileged arrive in motor homes. Naturally, ‘the whale’ is the greatest tourist attraction of this natural reservoir, but it is not the only one. The steppe is home to vital flora and fauna – plants nestled in an immense biodiversity barely noticed by who quickly passes through this desolate semi deserted area. However, vegetation consisting mainly of low shrub-like plants, featuring more than 15 different species, predominates and embraces this saline ground to take root. 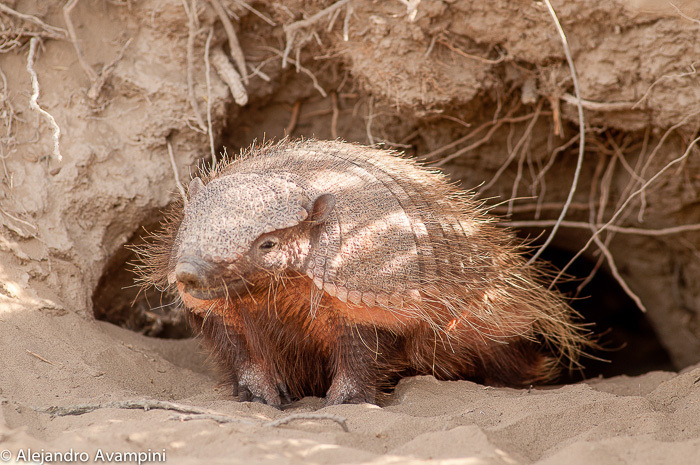 Tens of bird species inhabit the region, as well as small mammals such as the skunk, the piche, and the southern mountain cavy. For further information, visit the Natural Heritage siteabout the history of the Protected Natural Area El Doradillo, and how it was originated. This video successfully reflects the reigning atmosphere of these beaches – some with sand, others with boulder geography, as well as all the energy of the boundless immensity offered by this corner of the Argentine Patagonia. 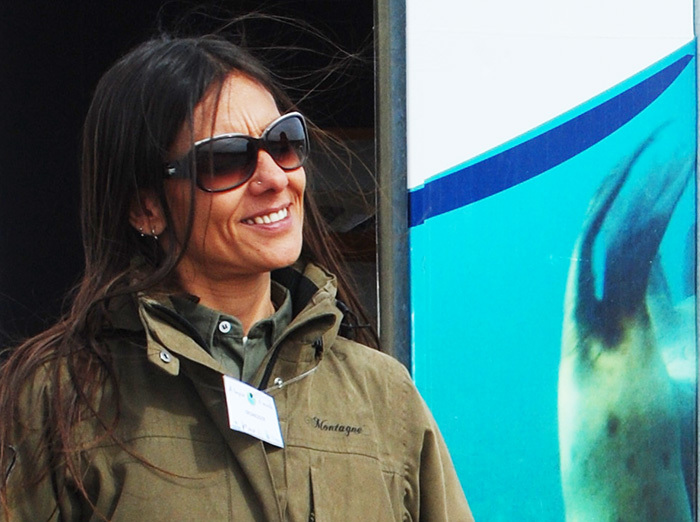 Since 2005, María Cabrera is the head of Conservation of the Protected Natural Area El Doradillo. 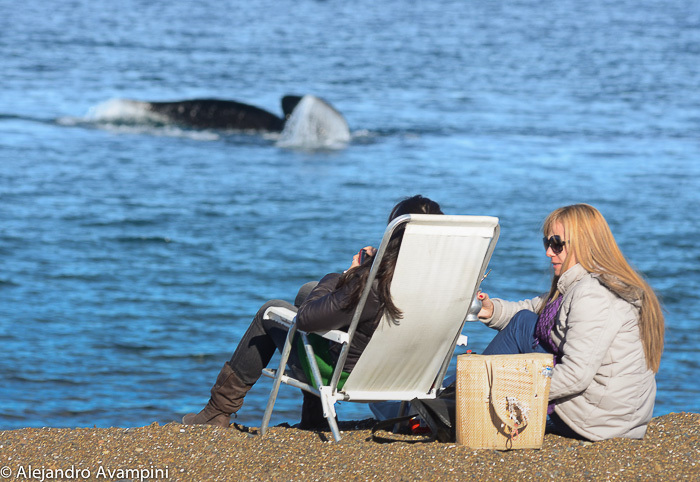 During the shore whale watching season peak from these privileged beaches, we take the opportunity to have a conversation with her. What is theProtected Area El Doradillo all about?The aim of creating a protected natural area at El Doradillo is to achieve the preservation of a truly magical place in time, not only for us here and now, but for future generations. It is necessary to create these vast stretches of preserved areas to restrict the fierce depredation we human beings are inflicting on unprotected areas. 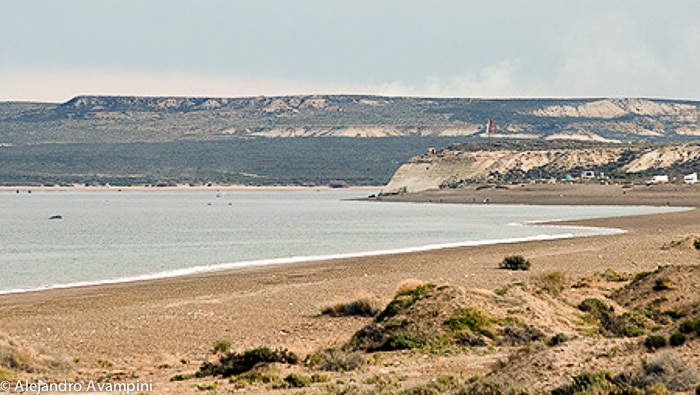 This protected area was created by the Municipality of Puerto Madryn in 2001, and 2 years later, a management plan was drafted stating goals to carry out actions for preserving its biodiversity and natural resources, providing education, and offering services and equipment for visitors’ public use. 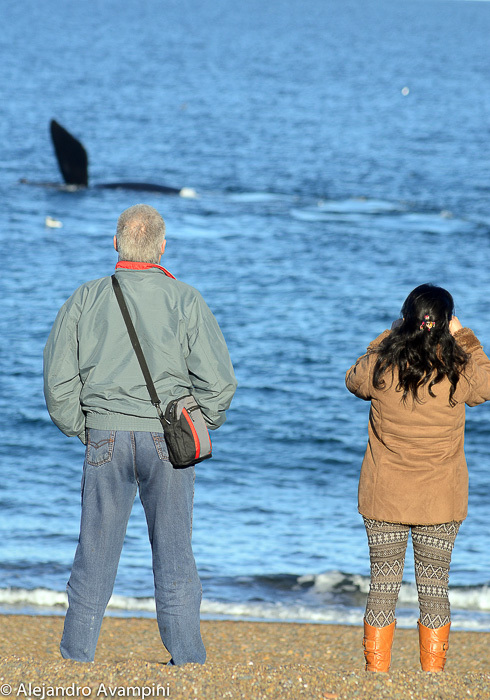 During the Whale Watching Season, we are continually visited by the local media, as well as by provincial and national media, where we have the great responsibility of spreading the news on this wonderful place in the most serious way. We are the ‘visible face’ from El Doradillo. She coordinates a team of local park rangers, who are in charge of carrying out field tasks, mainly controlling and supervising, educating on environmental basics, and informing visitors during the whole year. ‘Getting to know the place helps to preserve it as it is. 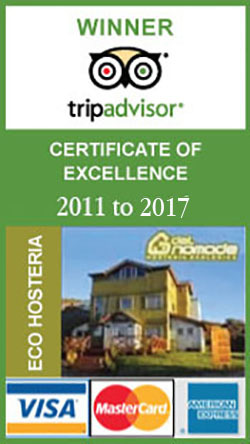 We promote the place for the general public, as well as for the local community, so that they can own El Doradillo and take it dear to their heart, and decide to preserve it themselves.’ Recently, we are delighted to celebrate the 10 years of this program of environmental education with a photo contest. 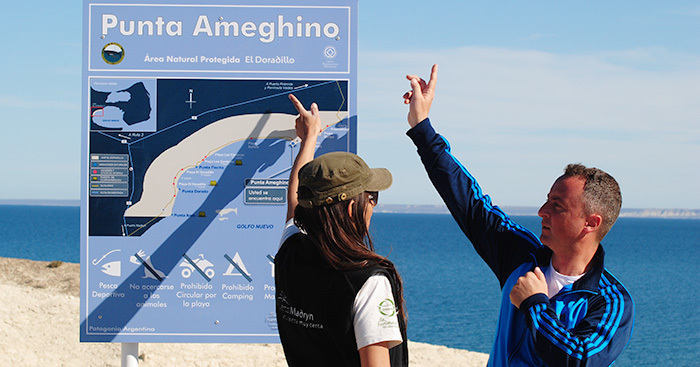 This sustained program is carried out by the Municipality of Puerto Madryn, and it is participative, as it includes voluntary students from high-school 728, who take part in recreational activities for children on the beach and are the tourist guides in charge of providing information during bus trips towards El Doradillo, and afterwards, of creating experiences with children for them to enjoy the wonderful behavior of whales in full reproductive period, and the environment in general. Each and every opportunity is taken. While the center of attention is the presence of whales, we take interpretative walks where we lecture about the flora, the birds, the southern mountain cavy, and we also share good environmental practices. We promote the importance of not leaving waste materials in the protected area, of not using local vegetation to make fire, and of taking care of dunes and beaches. We also underline the significance of respecting paths and of caring about a place as vulnerable as the Patagonic desert, where the human imprint immediately makes a mark. The World Tourism Organization (UNWTO) selected El Doradillo as the venue for a specific workshop addressed to Latin American and Caribbean referents in protected areas. It was an intensive one-week workshop featuring very prominent lecturers where we all learned a lot and shared experiences. At the end, we worked in groups and drafted proposals for public use, which now have been adopted in El Doradillo with a view to improving services for visitors without negatively impacting on the conservation of the place. These days, we are working with the national system for tourist quality of theNational Ministry of Tourism to enhance quality in each and every process we implement in managing the protected area. We have already attained distinction in management guidelines, and we now head towards revalidating such guidelines and gaining the national award for quality. Receiving and assisting scientists who do research in El Doradillo is also part of our job. When I began to work, my office was the field itself. I spent my whole day collecting and sorting data, taking photos and talking to people, both in winter and in summer – either warmly equipped, or shrinking into the shadows. Always with the management plan in hand, looking for ways to fit the area out for visitors, while trying to minimize all impacts to the least. We also keep statistical records that serve us as input for planning. Creating environmental awareness in 4th grade children is the ultimate goal. 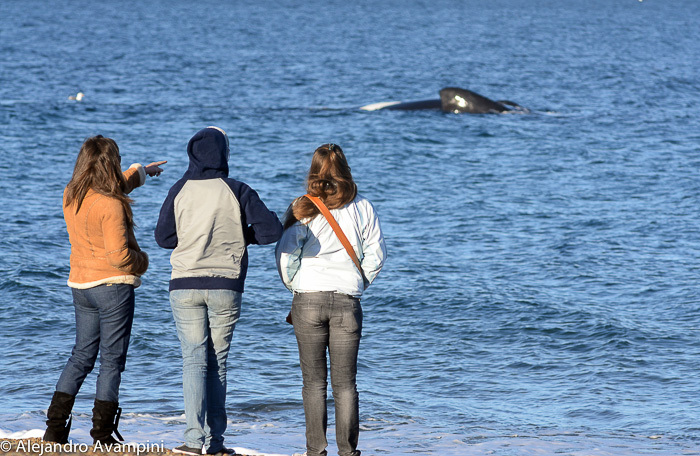 During educational sessions at schools, we provide information on different topics, such as conservation and protected areas, tourism, steppe fauna and flora, biology of the southern right whale, and a specially dedicated approach on El Doradillo. 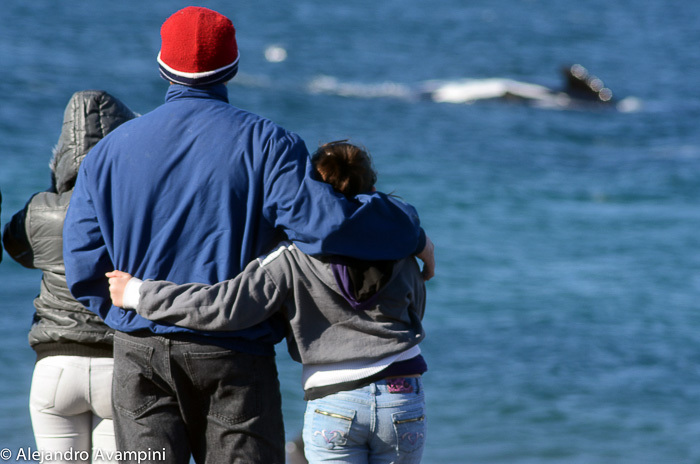 With the intention of drawing the local community closer to the values El Doradillo holds as a protected area, since locals are the most frequent visitors to the different beaches, mainly in summer, we consider it significant to convey those values and to spread them among Puerto Madryn children.